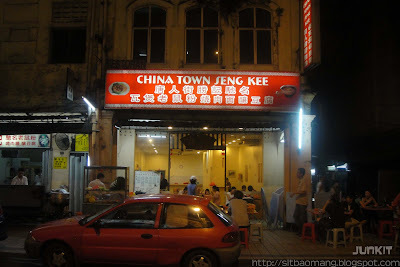 Had a very good makan trip recently with my friends at China Town, a very good makan place for those on food hunting. 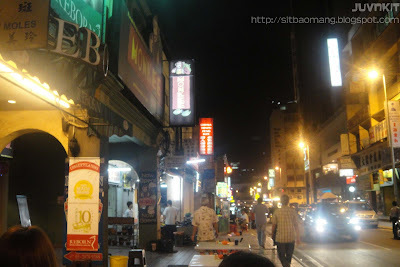 One of my favorite shop to visit every time I head down is Seng Kee which boasts on some very good specialized food - Claypot Lou Shi Fun (the best! 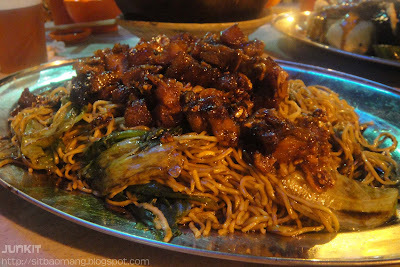 ), Siu Yuk Min / Roast Pork Noodles (pork scores mark each time! ) and their special Yong Tou Fu. 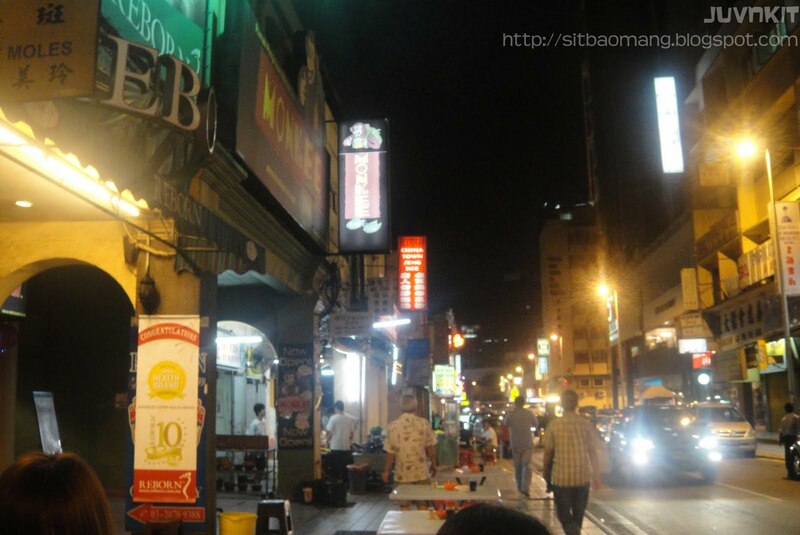 Heard from my dad that this place started quite early, way during their youth generation. Not much changed, well except for the price of course. It's still as good and as authentic it could be! 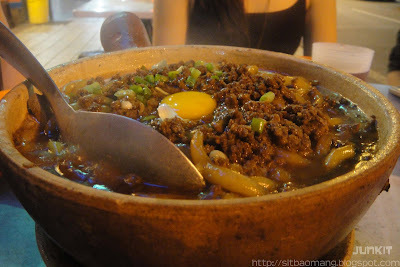 I honestly felt their Claypot Lou Shi Fun (RM8 per pax) is the best seller here. 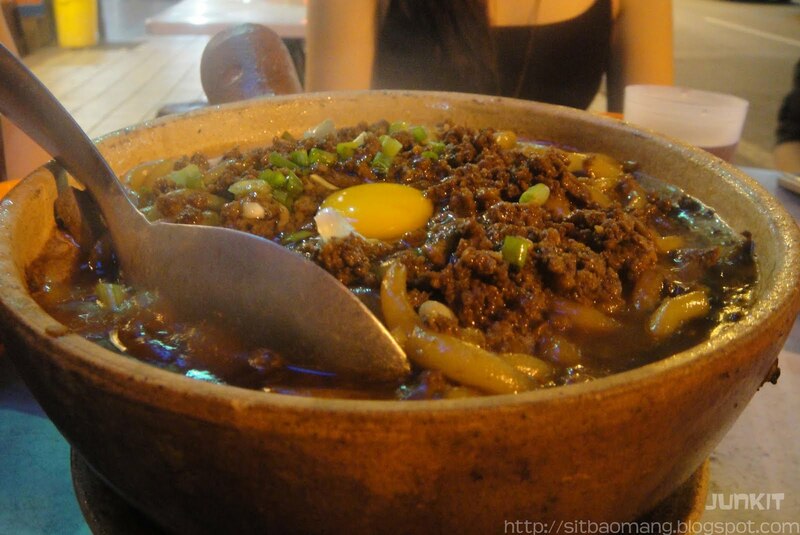 First off, I felt the lou shi funs are very smooth and slippery, with very fragrant good gravy base. Top it off with loads of minced pork and a raw egg; and it's done. You have to mix the egg so that the egg could give the noodles the smooth texture (can't go wrong with eggs and noodles combination) and it thickens the gravy. Simple but I would say take years to perfect it. Simply heart warming! A note though, I've heard from few sources that the quality changes on time depending on the chef. Anyhow give it a few try and I'm sure there must be a reason that why frequent customers keeps coming back. Siu Yuk Min/Roast Pork Noodles (RM9 per pax). Their noodles are of the wanton noodles variant but fried with gravy; hence being a bit wet. The winner of the whole dish would of course be the roast pork! Crunchy, meaty and being so aromatic after being briefly fried with garlic! I especially like to wipe the roast porks with the gravy and garlic towards finish the noodles for that extra oomph, lol. The Yong Tou Fuu (RM0.90 per piece, if I'm not mistaken) here is quiet different from the others. Besides being fried and served right after ordering to preserve the freshness and crunchiness, it's also being drenched in their thick gravy. The fish paste that is stuffed is quite tasty (wolf herring fish/ sai toh yee perhaps?) and up to par. My favourite would be the stuffed brinjal and the fried tofu skin. 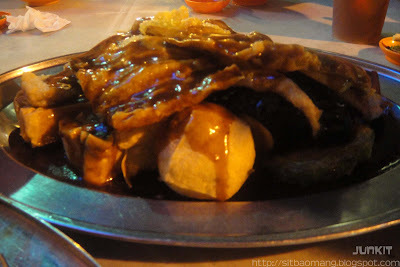 The fried tofu skin is no doubt very crispy and compliments well with the gravy. Seng Kee also has loads of chinese dishes which can be accompanied with rice like any other restaurants. Will return to check out their other food as I must admit I could not resist but sticking to those 3 addictive orders each time visiting, lol. My fav too, J. And I like the beef noodles at Chee Cheong Gai. Yum!